Look at that cute deer! my mum and I always buy something small to commemorate each christmas. Last year it was a really cute wombat in a christmas hat. 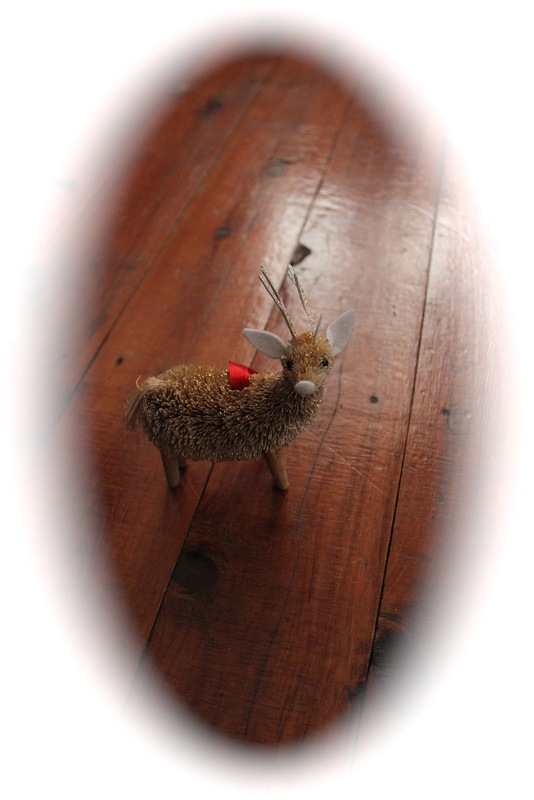 This deer reminds me of toilet brush.. hahah but mother likes it.. Do you have a family Christmas tradition?? It's really strange but I haven't ever really been into wearing socks unless I was wearing my joggers, when I find my christmas socks (special socks when I am in the Christmas mood, usually not during the actual Christmas Day) or my boots.. Around the house and that, I don't like wearing sock but one morning.. I was very cold.. Due to the rarity of the occasion, I celebrated by taking a photo of my feet.. Mmmh.. I rarely wear socks as well! I cannot sleep in them either, they make me feel weird. My grandmother just bought me some slip on fuzzy socks that are almost like booties just so I don't touch the cold floor, I like them, they are just enough to wear often. I dont really have Christmas Traditions, unfortunately my family isn't that close. And I usually don't get anything for Christmas anymore, by choice, but I like it that way! hahaha I fave a pair of fuzzy socks! Matt's mum gave me a pair it was cute :D they're great cause they are light and don't feel like socks!